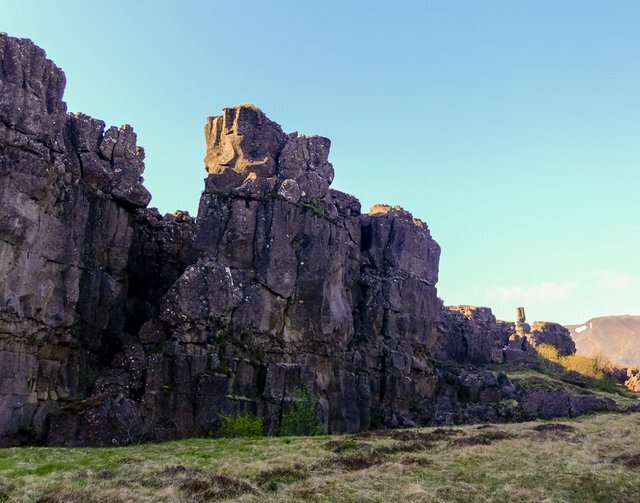 Steem-Hikers at Þingvellir - Anarchy at the Borderline of Europe and America! If you look at our profile, you may be able to see that our blog has for some time been covered with a thick layer of gradually accumulating Internet dust. There were plenty of topics to write on, but not enough motivation. At this point I have to mention that probably if it hadn't been for @saunter, this post would have been published later, because it's thanks to his firm attitude towards my "postponing to tomorrow" you are able to read about what happened to us in the last months of our life in Iceland. After getting up from my knees and straightening up a few financial arrears, I invested in my tired legs - and bought a car! 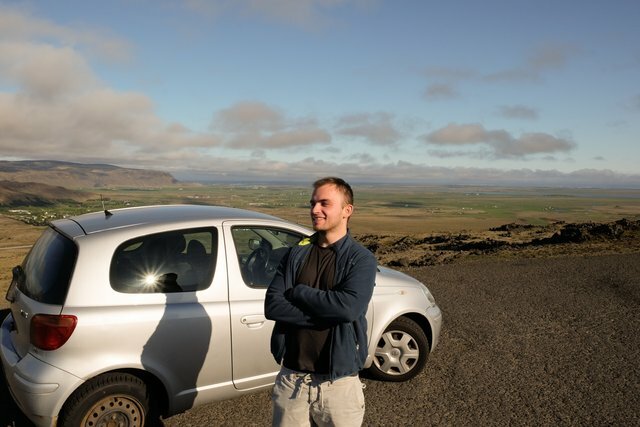 A few days after the purchase of the vehicle, my friend and I witnessed a strange phenomenon, extremely rare in our region of Iceland, better known as "good weather". 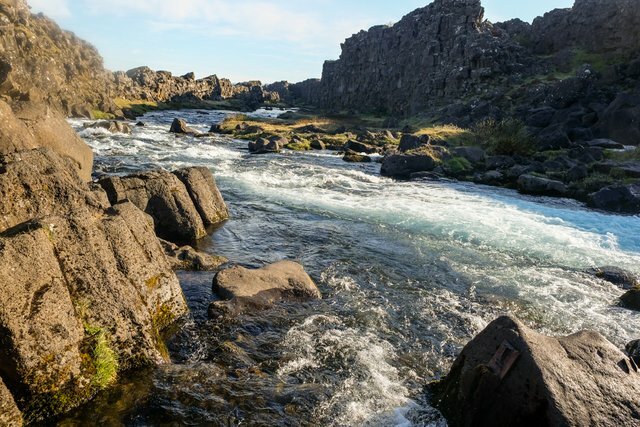 Taking advantage of this rarely repeated opportunity, we took as our last goal of the remaining places not visited by us, which are included in the so-called Golden Circle - the title one - Þingvellir. 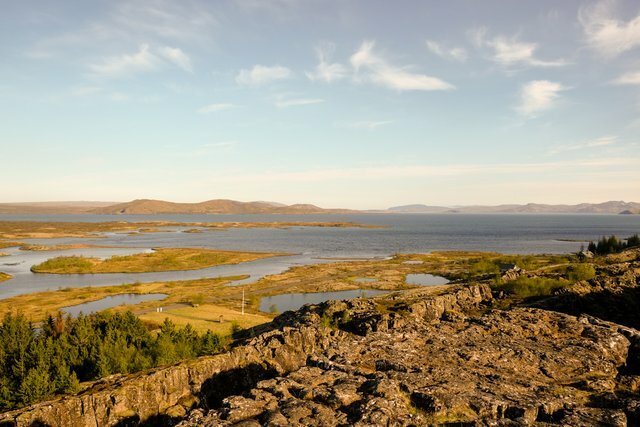 Þingvellir is a quite large national park, created at the meeting point of two tectonic plates, visible better here than anywhere else in the world. It is here where Europe comes into contact with America, at least geologically. This is however also one of the most important places in Icelandic history. For hundreds of years, once a year, the most important representatives of local communities from all over the island came here to convene an assembly in order to decide on important issues of the life of the settlers and settle disputes. This assembly was named Alþingi and so is called the modern Icelandic Parliament nowadays. 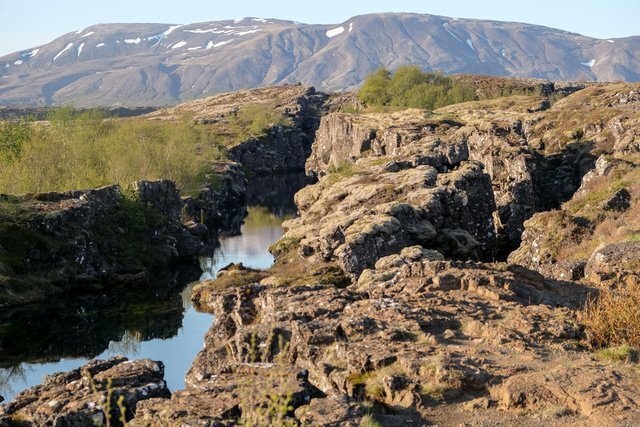 The first Alþinigi was held in 930! Some historians therefore call it the oldest parliament in Europe. 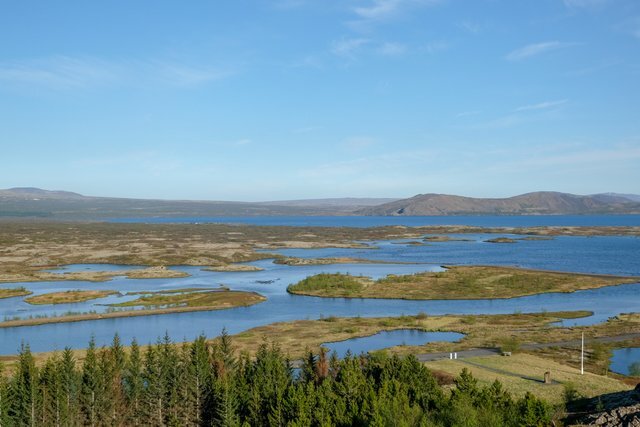 It stated that the people of Iceland did not want to be ruled by a monarch. 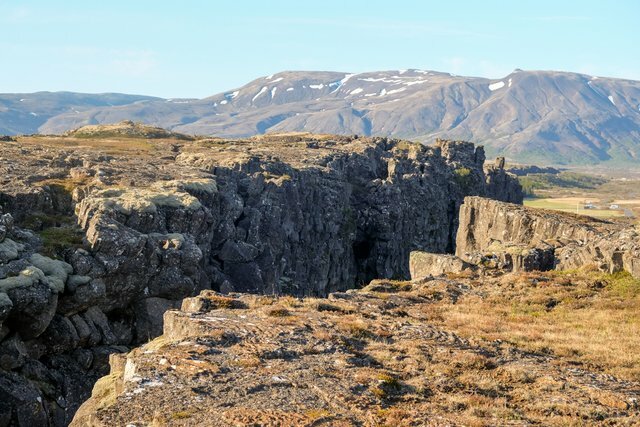 Thus, Iceland is today given as an example of actually functioning, organised anarchy. Top-down, central law did not exist, and various disputes and joint arrangements were concluded at the annual assemblies (and several regional assemblies bearing the same name). 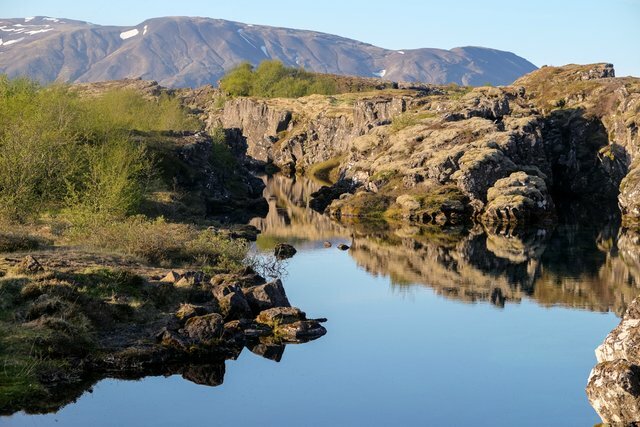 The free citizens were subject to the law of their representatives, called Goði, irrespective of their geographic location, but could change their representatives at any time. Thus, in parallel, there were different legal systems which, in a way, were subject to "market laws". The representatives were usually individuals trusted in the community, respected and experienced - something like our witnesses! 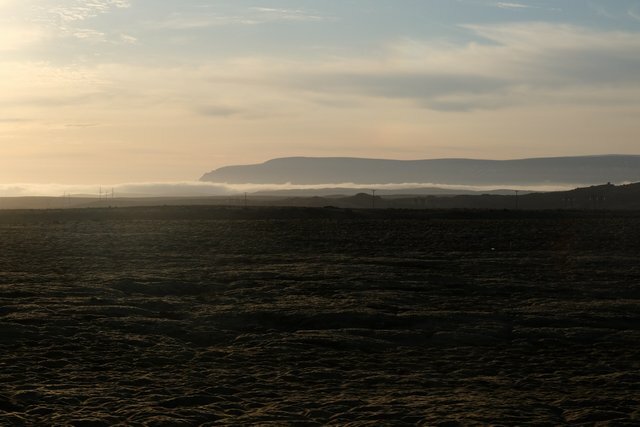 In exchange for representing the interests of their people, they had to go on military service if necessary and had to defend Goði, his premises or other people under Goði's law. As the sagas say, this system supposedly worked quite well. It was so good that when Iceland lost its independence in favour of the Norwegian crown, the King of Norway decided to preserve the system and allow Icelanders to rule at home with their own rules. This changed in the 13th century, when there was a significant armed conflict between several clans. As a result, Haakon IV, the ruler of Norway at the time, decided to impose on Iceland such a law as was in his continental kingdom. It should be added, however, that in the period of Icelandic anarchy the murder rate per capita on the island was the lowest in Europe (!). 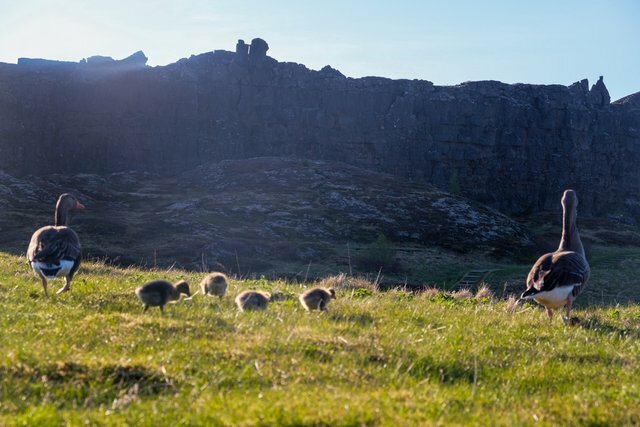 Thus, after 300 years of efficient operation, Alþinigi ceased to have such an important role and although it was not interrupted here for the next eight centuries, until 1879, it changed its character and had a more symbolic status. 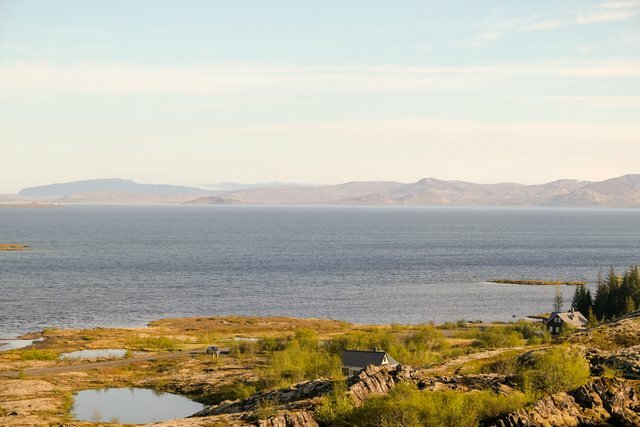 It was in Þingvellir that the independence of Iceland from Denmark was declared on 17 June 1944, which of course Icelanders proudly celebrate year after year since then. Every free man could attend the gathering, but only 36 of them, who were clan leaders, formed the main assembly in a legislative position. They also elected four judges, one for each region of Iceland, to act together as what we would call today the supreme court. 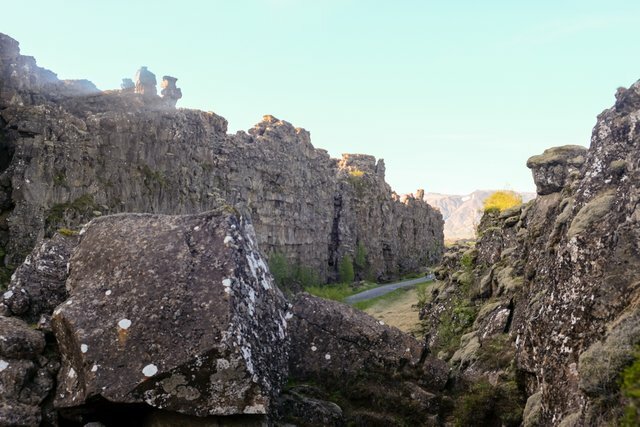 It was between these rocks that the heart of Alþinigi was beating, camps and stalls were being set up. During these two weeks every June, it has been quite crowded here. 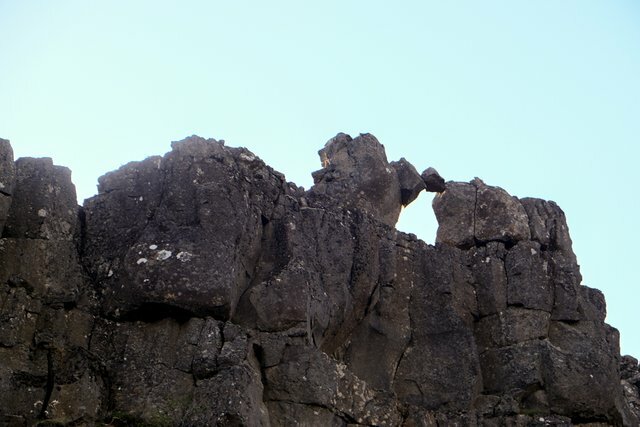 The rock protruding on the right side of the above photograph is most likely the famous Lögberg, which means the "rock of the Law". 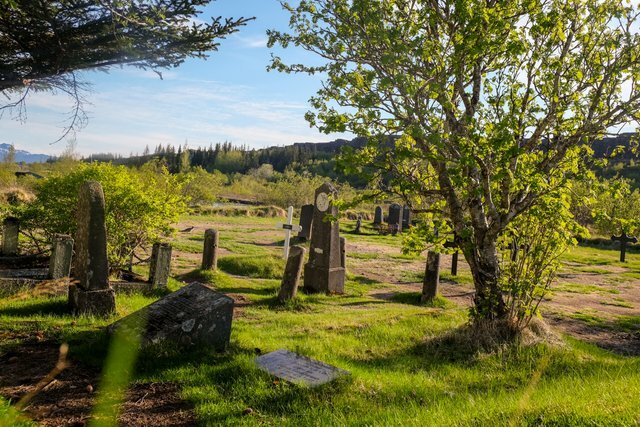 Perhaps it was here that the individual goðar (representatives) and lögsögumaður, the "preacher of rights" elected for a three-year term, spoke. According to Wikipedia, his duties included "commenting on laws and reciting from memory the entire set of rights at the beginning of each assembly session". Every member of the assembly was able to speak at Lögberg and Alþingi was also officially opened and closed here. For the rest of those who came on this occasion to the vast fields around the lake Þingvallavat it was a chance to resolve disputes, trade, or simply be there out of pure curiosity and the need to meet and communicate with other inhabitants of this isolated from the world island. Alþinigi was simply the biggest, most important and most interesting event of the year and it was a bit like a festival - a lot of games, feasts and businesses were held there. 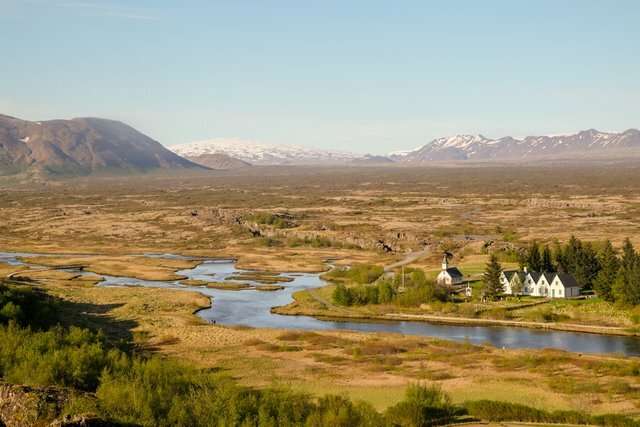 Some travelled for weeks from the other end of Iceland to reach their own "center of the universe". 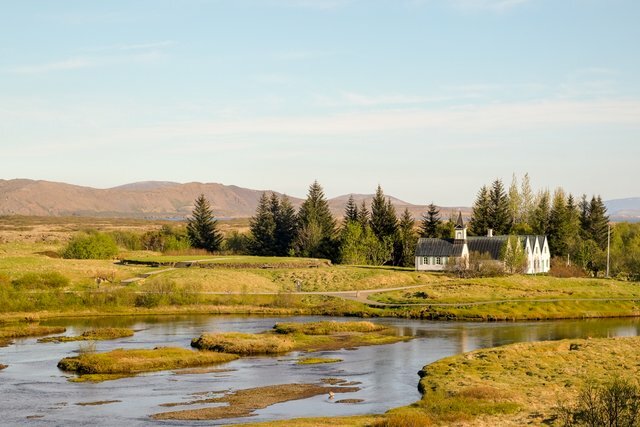 Today in Þingvellir you can find a small, adorable church and... a private summer residence of the Prime Ministers of Iceland! We came here to save on THE travel of our lives, but we couldn't stand it simply by sitting in the capital. 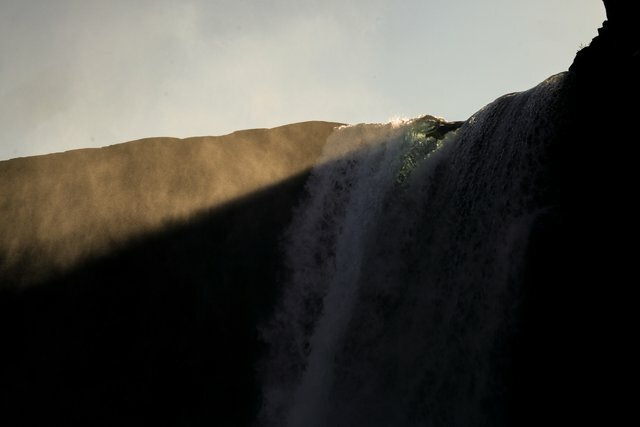 The sun evoked our travelers' nature. 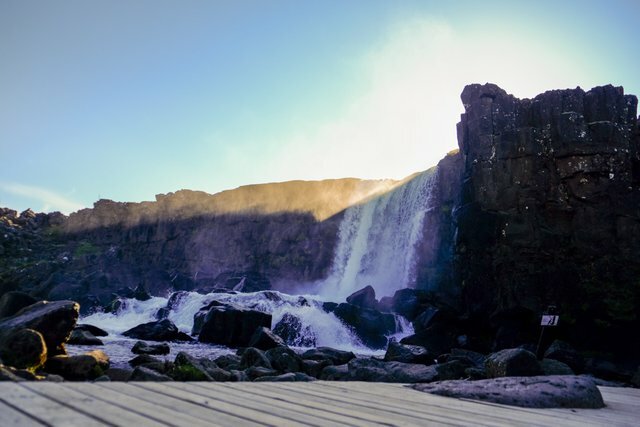 Our new killer Toyota Yaris has given us a short excursion into Icelandic history and fantastic nature. It's nice to have control behind the wheel for a change! On our way back we were accompanied by typical icelandic summer not-fully-setting-sun and a good sense of humour. Life is good! 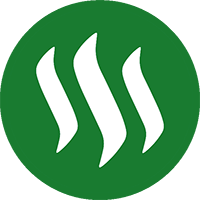 Hitch-hiking travelling powered by Steem! @ steem-hikers Wow! Really Beautiful place. Thanks for this nice post. G’day mate! and I Upvoted you :) ! I wish history recorded the why behind the major armed conflict between clans. Didn't some great injustice happen, and the leaders at the time were corrupt? I thought I remember it being something like that, so people stepped up to end their corruption. The same concept should work today. Perhaps blockchain technology will allow for better accountability and make corruption more difficult to grow. Then such leaders would be more easily removed and more quickly too. Thanks for your excellent write up about the trip and the significance of the place. I wish Iceland had more forest, and then I'd consider going there to live. I just can't leave behind the mountains (fresh water) and forest (everything to sustain life indefinitely). I think there may be some details of this conflict somewhere, but I haven't try to dig deeper into this subject. Direct democracy? HoA's don't even work. I don't want majority rule. I want rules, based on reason and proper ethics, to be the norm instead. Hey, @steem-hikers. I am a curator of the Whaleshares Curation Team. 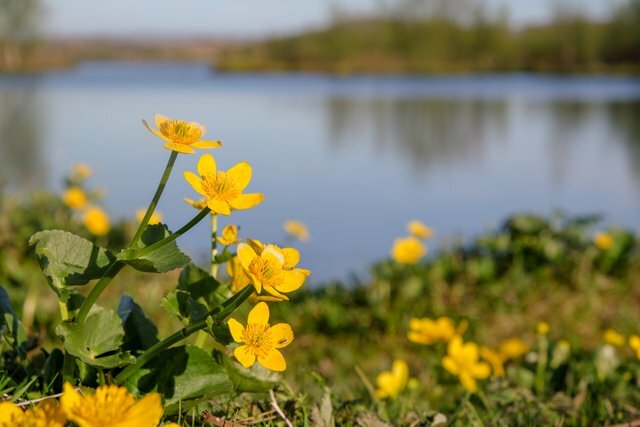 I have selected your post to be presented in a live curation discussion on Monday 16th July. Your post will be awarded a Whaleshares vote on the night. I do hope you can come along and spectate. The event will be held in The Curation Lounge on the Whaleshares server at 6 PM EST. Couldn't make it! Is there a recording somewhere?